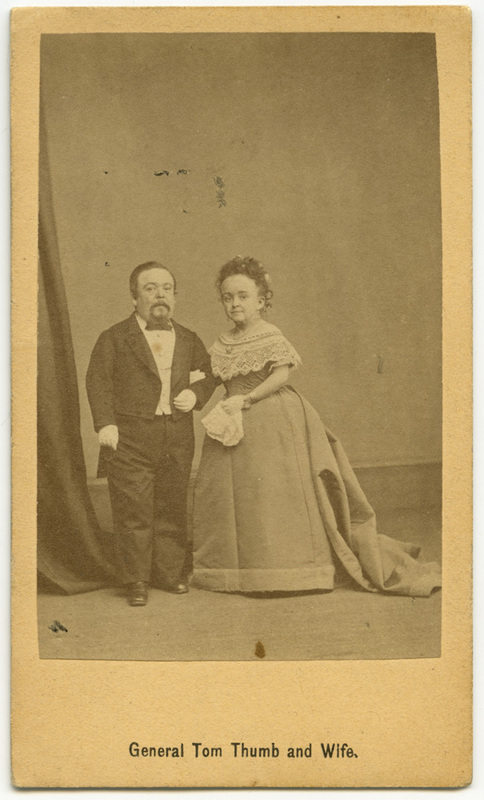 Here’s a CDV of Tom Thumb and Lavinia Warren, in middle age. This is an E&HT Anthony CDV, with the facsimile dedication on the verso. The studio that took the photo is unknown, as it is not credited. It is possible that it is a Brady image, as Anthony owned the Brady negatives in later years, but it is also very possible that it is by someone else who sold the negative to Anthony, or was commissioned by Tom Thumb and/or P.T. Barnum to take the photo. This image is NOT Tom Thumb and Lavinia Warren. 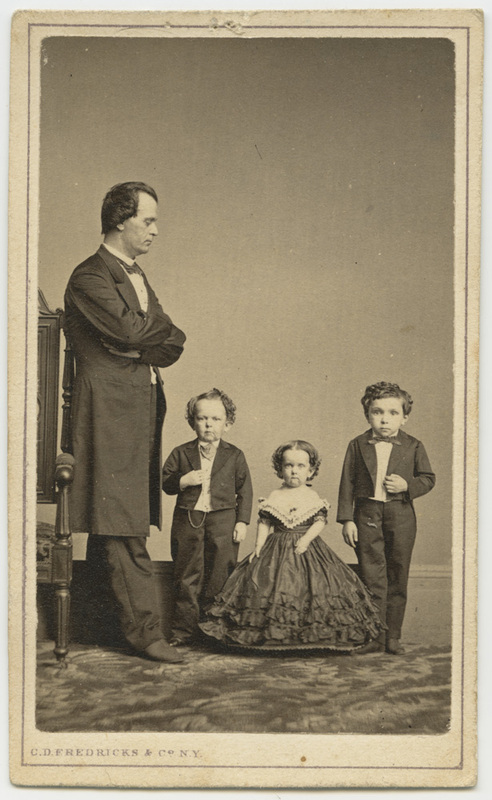 The little man on the left may be Commodore Nutt, but the woman is definitely not Lavinia Warren OR her sister Minnie, and the little man on the right is definitely not Tom Thumb either. I have seen his image before on other CDVs where it is just him, but I don’t have one of them and I can’t recall the name either. He’s a big name in the 19th century little people sideshow circuit, but I’m drawing a blank (if memory serves, I’ve seen his solo CDVs sell for upwards of $150 each). This CDV is in overall outstanding condition, pinholes at the top of the card mount excepted – the albumen print still looks new. These were bought as a pair, and were owned by the same individual in the past – it is the same handwriting on the verso that identifies the little people as Tom Thumb and Lavinia Warren (correctly on the one card, wrongly on the other).